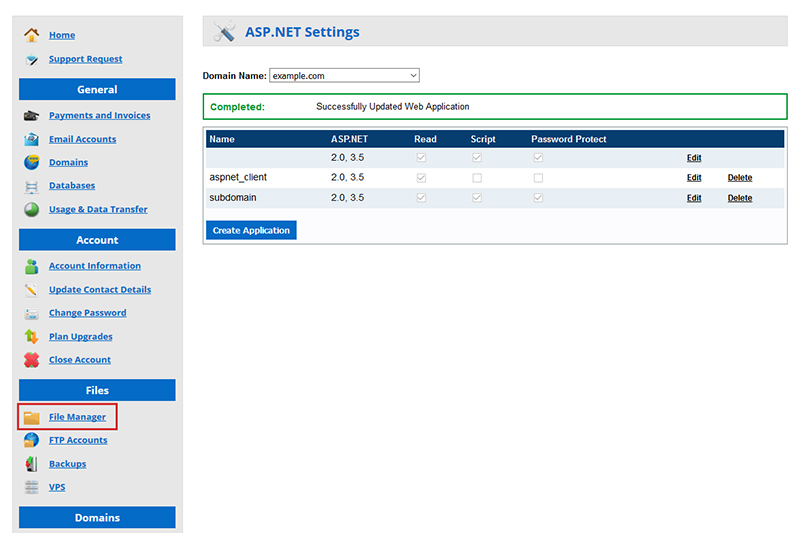 To update the settings or permissions on your site files or folders, such as enabling ASP.NEt Write, login to your hostControl account and select the "ASP.NET Settings" menu item from the "Advanced" Section of the menu. Choose your domain from the drop down list, then select "Edit" next to the domain or folder you wish to edit. To edit the whole domain, click Edit to the far right of the top field where the Name column is blank. Next select the option you wish to enable or disable and select "Edit" to save. 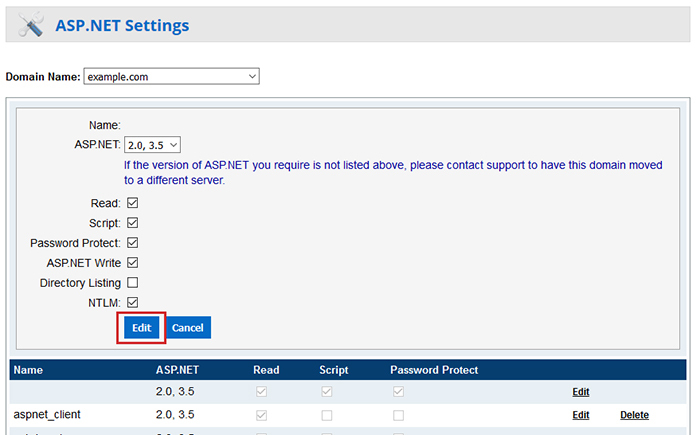 The "ASP.NET Write" option for example is applicable to websites written in .NET code. PHP websites will have write enabled by default. You can also quickly update the ASP.NET Write settings or file Read Only settings within the "File Manager" in hostControl. 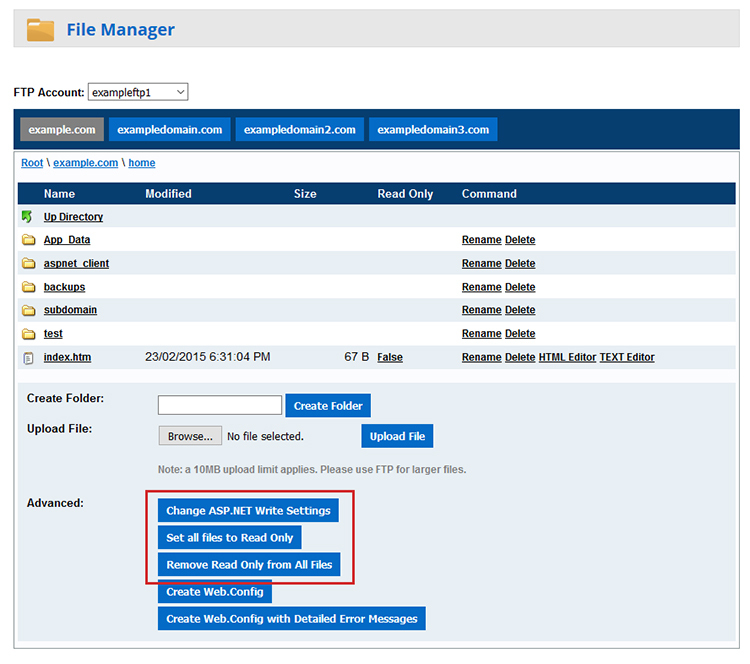 Select the "File manager" menu item from the left hand side menu under the Files section. Choose the FTP Account from the top dropdown menu. 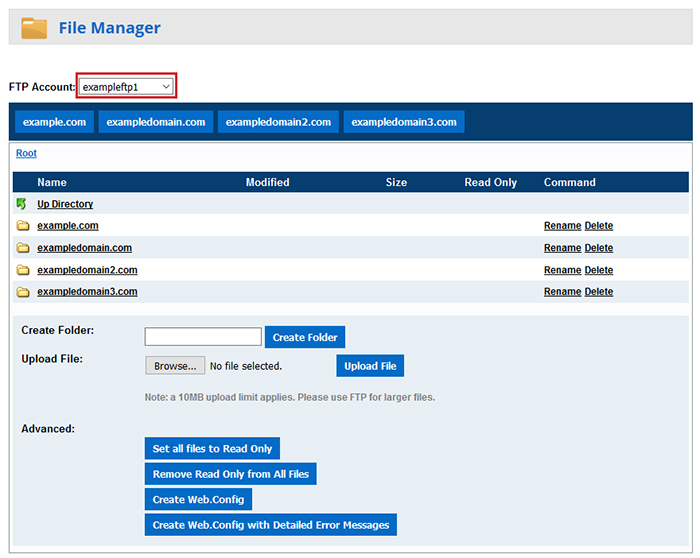 Then select your domain name folder and enter the home directory. Down the very bottom you will find advanced settings to change ASP.NET Write or Read Only. Down the very bottom you will find advanced settings to change ASP.NET Write or Read Only. Do Note that when updating ASP.NET write settings, this will update the ASP.NET Write settings for the current folder you are in. The root directory will update all folders unless you update a single folder individually.